As both asthma and obesity are on the rise in the United States, researchers completed a study that tested if the former is directly linked to the latter -- particularly in children. While much research has been done on the ways childhood obesity leads to asthma, not much work had been done to investigate how asthma leads to obesity. The study was recently published in the European Respiratory Journal, and the researchers found the results to be significant because asthma proved to be linked to health risks beyond the childhood years. As the largest study ever done on asthma and obesity, the researchers analyzed over 21,000 participants from nine different countries: Greece, Spain, the Netherlands, Denmark, the United Kingdom, Sweden, Germany, Italy, and France. All of the participants were born between 1990 and 2008 and were diagnosed with asthma by four years old. The participants were monitored in the study until they were eight years old. The study found several links between childhood asthma and obesity, but for children that were on asthma medication, the risk of later developing obesity was the highest. The researchers believe this to be because of the side effects associated with popular corticosteroids that are used to treat asthma. Additional findings showed that children with active asthma -- asthma induced by exercise or physical activity -- were twice as likely to develop obesity, while children who regularly experienced wheezing -- a high-pitched whistling sound that occurs when breathing due to narrowed airways -- were 50 percent more likely to develop obesity compared with those who didn’t. The study also found that children with asthma were 66 percent more likely -- on average -- to develop obesity compared with those who don’t have asthma. 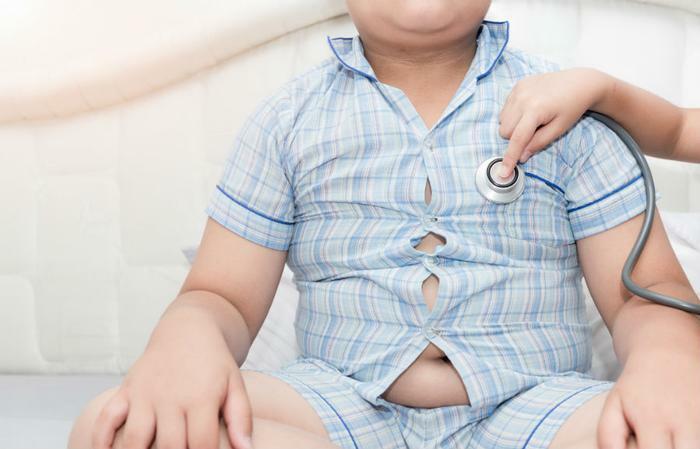 The researchers noted that both conditions -- asthma and obesity -- are typically detected in the first years of life and prove to be pivotal for later development.